Below is a brief list of garden clubs and societies in our area. If you would like to add your organization, please e-mail Deb , or better yet, use our online directory form. Thanks! African Violet & Gesneriad Society of WNY meets the third Tuesday of the month, March—December, at 7pm, Greenfield Health & Rehab Facility, 5949 Broadway, Lancaster. judyoneil1945@gmail.com. Alden Garden Club meets the second Wednesday of the month (except July & August) at 7pm, Alden Community Center, West Main Street, Alden. New members and guests welcome. Plant sale each May. 716/937-7924. Amana Garden Club meets the second Wednesday of the month (except January) at Ebenezer United Church of Christ, 630 Main Street, West Seneca. Visitors welcome. 716/844-8543; singtoo@aol.com. Amherst Garden Club meets the fourth Wednesday of the month (except December, March, July & August) at 10am, St. John’s Lutheran Church, Main Street, Williamsville. New members and guests welcome. 716/836-5397. Bowmansville Garden Club meets the first Monday of the month (except June, July, August & December) at 7pm, Bowmansville Fire Hall, 36 Main Street, Bowmansville. New members and guests welcome. For more information 716/361-8325. Buffalo Area Daylily Society. East Aurora Senior Center, 101 King Street, East Aurora. Friendly group who get together to enjoy daylilies. Open Gardens in July. 716/ 698-3454; Facebook. Buffalo Bonsai Society meets the third Wednesday of the month at 7pm, Buffalo Botanical Gardens, 2655 South Park Ave., Buffalo.buffalobonsaisociety.com. Federated Garden Clubs NYS – District 8. Marcia Becker, District Director. 716/681-3530; marshmelo601@yahoo.com; gardenclubsofwny.com. Friends of Kenan Herb Club meets the fourth Monday of the month at 6pm (January–March), 5:30pm (April–November), Kenan Center for the Arts, 433 Locust Street, Lockport. Meeting dates, times and campus locations: kenancenter.org/affiliates.asp; 716/433-2617. Garden Club of the Tonawandas meets the third Thursday of the month at 7pm, Tonawanda City Hall, Community Room. Garden Friends of Clarence meets the second Wednesday of the month at 7pm, September–June, Town Park Clubhouse, 10405 Main Street, Clarence. gardenfriendsofclarence@hotmail.com. Hamburg Garden Club meets the second Wednesday of the month at noon, Hamburg Community Center, 107 Prospect Avenue, Hamburg. Summer garden tours. 716/649-6789; lonabutler4@gmail.com. Kenmore Garden Club meets the second Tuesday of the month (except July & August) at 10:00am, Kenmore United Methodist Church, 32 Landers Road, Kenmore. New members and guests welcome. ewpinkposies1@gmail.com. Ken-Sheriton Garden Club meets the second Tuesday of the month (except January) at 7pm, St. Mark’s Lutheran Church, 576 Delaware Road, Kenmore. Monthly programs, artistic design and horticulture displays. New members and guests welcome. 716/833-8799; dstierheim@gmail.com. Lancaster Garden Club meets the second Wednesday of the month at 7pm, St. John’s Lutheran Hall, 55 Pleasant Avenue, Lancaster. No meetings January, July & August. All are welcome. 716/685-4881. Niagara Frontier Koi and Pond Club meets the second Friday of the month at 7pm, Zion United Church, 15 Koening Circle, Tonawanda. Niagara Frontier Orchid Society (NFOS) meets the first Tuesday following the first Sunday (dates sometimes vary due to holidays, etc. ), September–June, Botanical Gardens, 2655 South Park Avenue, Buffalo. niagarafrontierorchids.org. Orchard Park Garden Club meets the first Thursday of the month at 12pm, Orchard Park Presbyterian Church, 4369 South Buffalo Street, Orchard Park. Contact: Sandra Patrick, 716/662-2608. Silver Creek-Hanover Garden Club meets the second Saturday of the month at 2pm, First Baptist Church, 32 Main Street, Silver Creek. Sue Duecker, 716/934-7608; duke.sue@roadrunner.com. South Town Gardeners meets the second Friday of the month (except January) at 9:30am, West Seneca. New members welcome. Town and Country Garden Club of LeRoy meets the second Wednesday of the month (except February) at 6:30pm, First Presbyterian Church, 7 Clay Street, LeRoy. New members and guests are welcome. 585/768-2712; ritawallace005@gmail.com; Facebook. Western New York Herb Study Group meets the second Wednesday of the month at 7pm, Buffalo and Erie County Botanical Gardens, 2655 South Park Avenue, Buffalo. Western New York Honey Producers, Inc. Cornell Cooperative Extension of Erie County, 21 South Grove Street, East Aurora. wnyhpa.org. Western New York Hosta Society. East Aurora Senior Center, 101 King Street, East Aurora. Meetings with speakers, newsletter, sales. 716/941-6167; h8staman@aol.com; wnyhosta.com. Western New York Hosta Society Breakfast Meetings, a friendly get-together, first Saturday of the month at 10am, Forestview Restaurant, Depew. wnyhosta.com. Western NY Iris Society usually meets the first Sunday of the month (when Iris are not in bloom), 1–4pm, at the Lancaster Public Library, 5466 Broadway, Lancaster. Information about acquiring and growing irises (bearded & non-bearded) and complimentary perennials, annual flower show & summer iris sale. Guests welcome. 716/837-2285; drsnooks@twc.com. Western New York Rose Society meets the third Wednesday of each month at 7pm, St. Stephens-Bethlehem United Church of Christ, 750 Wehrle Drive, Williamsville. wnyrosesociety.net. Wilson Garden Club generally meets the second Thursday of each month at 7pm, Community Room, Wilson Free Library, 265 Young Street, Wilson. Meetings open to all, community floral planting, spring plant sale, local garden tours. 716/751-6334; wilsongardenclub@aol.com. Youngstown Garden Club meets the second Wednesday of every month at 7pm, First Presbyterian Church, 100 Church Street, Youngstown. Adirondack Chapter, North American Rock Garden Society (ACNARGS) meets the third Saturday of the month (except in summer) at 1pm, Whetzel Room, 404 Plant Science Building, Cornell University, Ithaca. Meetings are open to all. 607/269-7070; acnargs.org; Facebook.com/acnargs. Auraca Herbarists, an herb study group, usually meets the second Tuesday of the month at noon, Cornell Botanic Gardens, Ithaca. Brownbag lunch at noon followed by the program and herb of the month. Field trips during the growing season. All are welcome. Contact: Pat Curran, pc21@cornell.edu. Elmira Garden Club meets the first Thursday of the month, April–December, at 6pm, 426 Fulton Street, Elmira. Annual plant sale, workshops, monthly meetings, local garden tours and community gardening services. Contact: Karen Coletta, 607/731-8320. Finger Lakes Native Plant Society meets the third Wednesday of the month at 7pm, Unitarian Church annex, corner of Buffalo & Aurora, Ithaca. Enter side door on Buffalo Street & up the stairs. 607/257-4853. Windsor NY Garden Group meets the second and fourth Tuesdays of the month at 10am, members’ homes or Windsor Community House, 107 Main Street, Windsor. windsorgardengroup.suerambo.com. 7th District Federated Garden Clubs New York State, Inc. meets the first Wednesday of the month. 7thdistrictfgcnys.org. African Violet and Gesneriad Society of Rochester meets the first Wednesday of the month (except in summer), 7–9pm, Messiah Church, 4301 Mount Read Blvd., Rochester. All are welcome. Stacey Davis, 585/426-5665; stacey.davis@rit.edu; avgsr.org. Big Springs Garden Club of Caledonia-Mumford meets the second Monday evening of the month, September–November, January–May. New members and guests welcome. 585/314-6292; mdolan3@rochester.rr.com; Facebook. Bloomfield Garden Club meets the third Thursday of the month (except May, July & August) at 11:45am, Veterans Park, 6910 Routes 5 & 20, Bloomfield. New members and guests welcome. 585/657-4489; kjmonrad@frontiernet.net. Bonsai Society of Upstate New York meets the fourth Tuesday of the month at the Brighton Town Park Lodge, Buckland Park, 1341 Westfall Road, Rochester. 585/334-2595; Facebook; bonsaisocietyofupstateny.org. Country Gardeners of Webster meets the second Monday of the month (except Februrary, July & August) at 7pm at various locations. All aspects of gardening covered, outside speakers, projects, visits to local gardens, community gardening involvement. Includes coffee and social time. Guests welcome. 585/265-4762. Creative Gardeners of Penfield meets the second Monday of the month at 9:15am (except July & August), Penfield United Methodist Church, 1795 Baird Road, Penfield. Visitors welcome. Call 585/385-2065 if interested in attending a meeting. Fairport Garden Club meets the third Thursday evening of each month (except August and January). Accepting new members. fairportgc@gmail.com; fairportgardenclub.com. Garden Club of Brockport meets the second Wednesday of every month at 7pm, Jubilee Church, 3565 Lake Road, Brockport. Speakers, hands-on sessions. Georgie: 585/964-7754; georgietoates@yahoo.com. Garden Club of Mendon meets the third Tuesday of the month, 10am–1pm, Mendon Community Center, 167 North Main Street, Honeoye Falls. Work on community gardens and gather new ideas in a casual, social environment. 585/624-8182; joanheaney70@gmail.com. Garden Path of Penfield meets the third Wednesday of the month, September–May at 7pm, Penfield Community Center, 1985 Baird Road, Penfield. Members enjoy all aspects of gardening; new members welcome. gardenpathofpenfield@gmail.com. Genesee Region Orchid Society (GROS) meets the first Monday following the first Sunday of the month (September–December; February–May), Jewish Community Center, 1200 Edgewood Avenue, Rochester. GROS is an affiliate of the American Orchid Society (AOS) and Orchid Digest Corporation. facebook.com/geneseeorchid; geneseeorchid.org. Genesee Valley Hosta Society meets the second Thursday of the month, April–October, at Eli Fagan American Legion Post, 260 Middle Road, Henrietta. 585/538-2280; sebuckner@frontiernet.net; geneseevalleyhosta.com. Greater Rochester Iris Society (GRIS) meets Sundays at 2pm, dates vary, St. John’s Episcopal Church Hall, 11 Episcopal Avenue, Honeoye Falls. Public welcome. 585/266-0302; thehutchings@mac.com. Greater Rochester Perennial Society (GRPS) meets the first Thursday of each month at 7pm, Twelve Corners Presbyterian Church Fellowship Hall, 1200 South Winton Road, Rochester, except in summer when it tours members’ gardens. 585/467-1678; smag@rochester.rr.com; rochesterperennial.com. Greater Rochester Rose Society meets the first Tuesday of the month at 7pm, First Unitarian Church, 220 Winton Road South, Room 110, Rochester. July meeting is a garden tour.585/694-8430; rochrosesociety@gmail.com; Facebook. Henrietta Garden Club meets the second Wednesday of the month (except May–August & December) at 6:30pm, Henrietta Recreation Center, 605 Calkins Road, Henrietta. Guests welcome. Handicap accessible. 585/889-1547; henriettagardenclub@gmail.com; henriettagardenclub.org. Holley Garden Club meets the second Thursday of the month at 7pm, Holley Presbyterian Church. 585/638-6973. Hubbard Springs Garden Clubof Chili meets the third Monday of the month at 7pm, Chili Senior Center, 3235 Chili Avenue, Rochester. dtoogood@rochester.rr.com. Ikebana International Rochester Chapter 53 meets the third Thursday of each month (except December and February) at 10am, First Baptist Church, Hubbell Hall, 175 Allens Creek Road, Rochester. 585/301-6727; 585/402-1772; rochesterikebana@gmail.com; ikebanarochester.org. Kendall Garden Club meets the first Wednesday of the month at 7pm, Kendall Town Hall. 585/ 370-8964. Lakeview Garden Club (Greece) meets the second Wednesday of the month (except January & February) at 7pm, meeting location varies depending on activity. 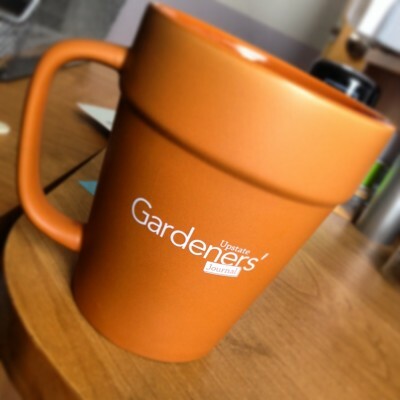 Meetings may include a speaker, project or visits to local garden-related sites. New members always welcome. Joanne Ristuccia; rista1234@gmail.com. Newark Garden Club meets the first Friday of the month at 1pm, Park Presbyterian Church, Newark. Guests are welcome. Pittsford Garden Club meets the third Tuesday of the month at 11am, Pittsford Public Library, Fisher Meeting Room, 24 State Street, Pittsford, except in July & August when it visits members’ gardens. 585/425-0766; BKRU888@aol.com; pittsfordgardenclub.wordpress.com. Rochester Dahlia Society meets the second Saturday of the month (except August & September) at 12pm, Trinity Reformed Church, 909 Landing Road North, Rochester. Visitors welcome. 585/865-2291; Facebook; rochesterdahlias.org. Rochester Herb Society meets the first Tuesday of each month (excluding January, February & July) at 12pm, Potter Memorial Building, 53 West Church Street, Fairport. Summer garden tours. New members welcome. rochesterherbsociety.com. Rochester Permaculture Center meets monthly to discuss topics such as edible landscapes, gardening, farming, renewable energy, green building, rainwater harvesting, composting, local food, forest gardening, herbalism, green living, etc. Meeting location and details: meetup.com/rochesterpermaculture. Seabreeze Bloomers Garden Club meets the fourth Wednesday of the month (except January) at 7pm, location varies depending on activity.Meetings may include a speaker, project or visit to local garden-related site.Members receive a monthly newsletter. New members welcome. Contact Bonnie Arnold:585/342-8653; bonniearnold@frontiernet.net. Stafford Garden Club meets the third Wednesday of the month (except December & January) at 7pm, Stafford Town Hall, 8903 Morganville Road (Route 237), Stafford. Plant auction in May. All are welcome. 585/343-4494. Victor Garden Club meets the second Wednesday of the month (except January & February) at 6:30/6:45pm. New members welcome. Meeting and location details: victorgardenclubny2.com; 585/721-5457. Williamson Garden Club. On-going community projects; free monthly lectures to educate the community about gardening. Open to all. 315/524-4204; grow14589@gmail.com; grow-thewilliamsongardenclub.blogspot.com. Federated Garden Clubs NYS – District 6. 315/481-4005; dist6fss@gmail.com. Habitat Gardening in CNY (HGCNY) meets the last Sunday of most months at 2pm. Northern Onondaga Public Library, North Syracuse Branch, 100 Trolley Barn Lane, N. Syracuse. HGCNY is a chapter of Wild Ones: Native Plants, Natural Landscapes; wildones.org. Free and open to the public. 315/487-5742; info@hgcny.org; hgcny.org. Men and Women’s Garden Club of Syracuse meets the third Thursday of the month at 7:30pm, Reformed Church of Syracuse, 1228 Teall Avenue, Syracuse. Meetings feature guest speakers on a variety of gardening and related topics. Members maintain gardens at Rosemond Gifford Zoo & Ronald McDonald House. Annual spring & fall flower shows. 315/699-7942; Facebook. Could you move the Williamson Garden Club to under Rochester, not Syracuse? We are only 10-15 minutes from Webster. Thank you for the suggestion. 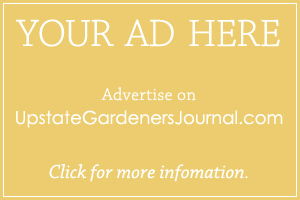 We will list the Williamson Garden Club under Rochester starting in the July-August issue. I just purchased a home. The garden( flowers and bushes) is quite rundown and hasn’t been cared for in quite some time. I would like to make it look nice, but know little about gardening. I am hopeful of meeting with someone who could give me guidance on how to bring this small,sad little garden back to life. I have pictures, and can drive to meet anyone who can help. Phone 315-5602363. Hello fellow gardeners, Rainy, wet and cold day, a reason to look ahead. I have enjoyed meeting many of you in the Rochester region at the Public Market and at your garden club talks. As retirement doesn’t seem to suit me, I will be offering my famous heirloom tomatoes for sale at my home. Friday & Saturday, May 26th & 27th 9:00-4:00. Address: 420 Brookwood Drive, Webster 671-8145. Many other container plants, herbs and succulents, hope to see you! Hi, the westvale neighborhood association is sponsoring it’s annual garden tour July 15th. 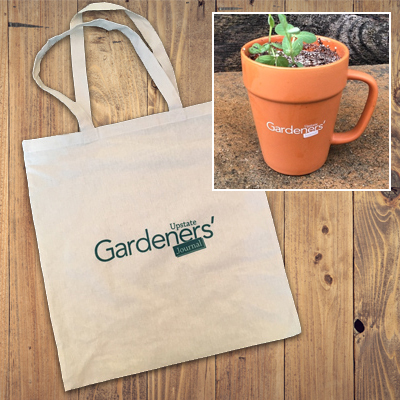 We’d like to spread the news to other gardeners. If you would like to receive information on this upcoming event, send me an email and we’ll add you to our mailing list. Thank you- your contact information has been removed. All set. Thank you Bev! Thank you so much. 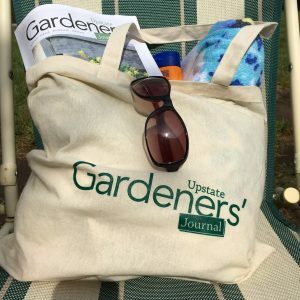 The Journal is a valuable resource for area gardeners.